Happy new month to all our esteemed fans. 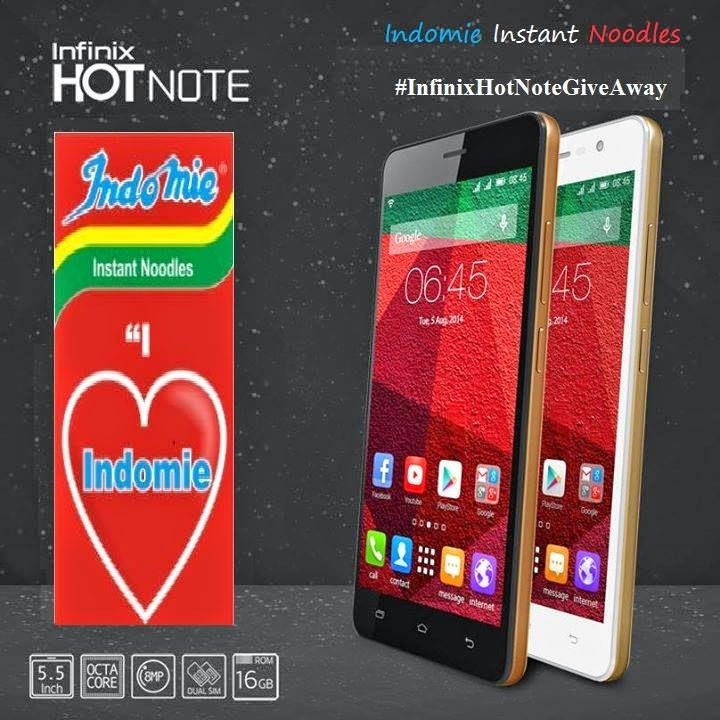 #InfinixHotNoteGiveAway is here!!! We are making this an Easter to remember. As we celebrate the resurrection of Jesus Christ we would be giving out Prizes to our esteemed fans. Today’s task is simple, all you have to do is give the names of all Indomitable characters. Drop your answer in the comment box HERE with the harsh tag #iLoveIndomieInstantNoodles, share with as many friends as possible and get them to like our page. The first 3 correct answers would win an Infinix hot note smartphone and a goody bag each. Hurry, you just might be the owner of a brand new Infinix Hot Note.